The purpose of the School Administrators of Montana Youth Endowment is to make a positive impact on the youth of Montana by providing financial assistance to benefit children’s health, welfare, and/or education. 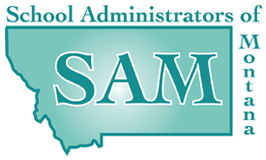 The School Administrators of Montana Youth Endowment has reached fruition. Awards to nominated recipients will be given in April of each year and announced in the May SAM Bulletin. Emergency requests will be accepted and presented to the board on an as requested basis made throughout the year. Recognition of the award will also be given yearly at the SAM Administrators Institute. Nomination guidelines are listed in the brochure that can be accessed by clicking HERE. Please note that only SAM members can make the actual nomination.